Jeju Island family trip 2017!!! During our trip to Korea this summer, we decided to squeeze in a 4 day trip to Jeju Island. Jeju Do (제주도) has changed so much in recent years and I have been wanting to visit especially with our daughter as a family. We were also hoping that we could take our in-law family with us as part of my mother-in-law’s 80th Birthday celebration but both she and my sister-in-law could not make it..so it was mostly just us three – except for the last day when our niece joined us!! BTW, my niece Heyon who is an artist and art therapist – I LOVE what she does and she is also behind my beautiful pins that I share on pinterest. Thank you Heyon for your help always!! Visit her Astropaperboat site for more beautiful art that you can even purchase! I will be writing another post about ‘things to do in Jeju Island’ soon, so let’s just get right into it. I think this was one of our most favorite restaurant during our trip. 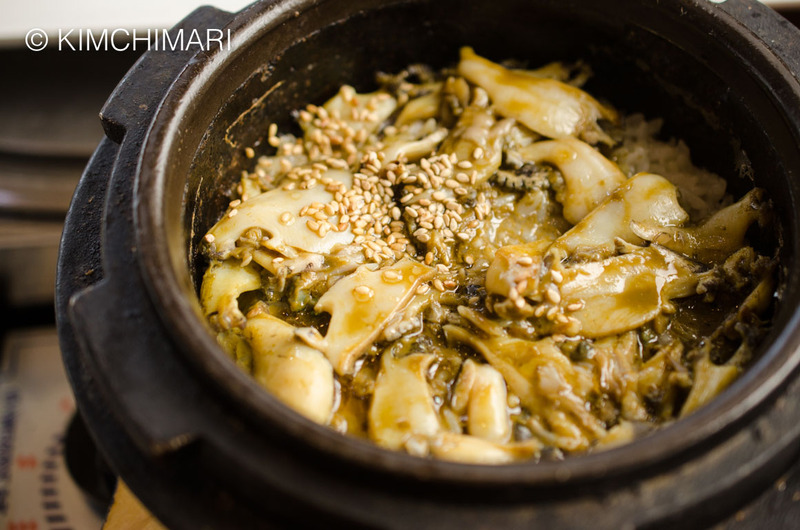 You can taste both Galchi 칼치 (Hairtail Fish, Cutlassfish or Beltfish) and abalone in the most wonderful way. They give you a WHOLE Hairtail fish either salted and broiled or braised in sauce! Hairtail fish is sooo long, it took up the whole table!! 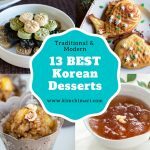 In addition to the wonderfully fresh locally caught Hairtail fish that came perfectly salted and grilled, you also get a hot stone pot abalone rice 전복 돌솥밥, uni miyeok guk, seafood doenjang jjigae and other amazing banchans. I mean, EVERY single thing here is just really delicious. 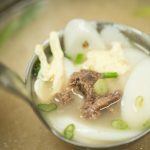 Korean food at its best. You should not miss this restaurant. My husband wanted to have Okdom Gui 옥돔구이(Grilled Red Tile Fish) and my daughter and I wanted to have pork. By now you know my husband doesn’t eat pork.. and I could not leave without trying Jeju pork. So we needed to find a restaurant that served both. And we did!!! This is a relatively new/unknown place so it didn’t even show up on our car’s navigation. It’s mainly a Jeju Black Pork BBQ place but they also had grilled red tile fish (Okdom Gui) on the menu. 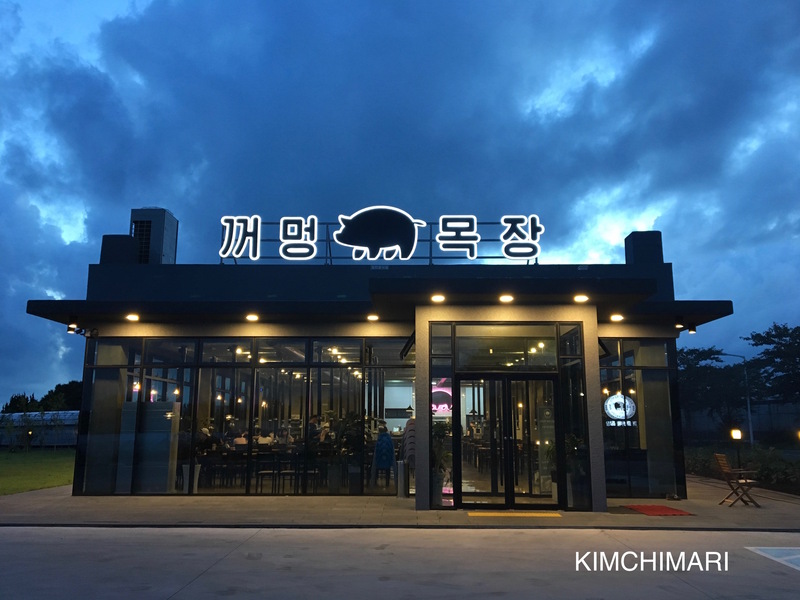 A modern-style building (definitely modern with a younger vibe) with self-serve banchan. All the side dishes were yummy and we got some great thick pork belly pieces. The food is all quite good and perhaps what’s even better is that there’s a direct view to the ocean from the restaurant!! You can either watch the ocean while you eat from the table or grab a cup of vending machine coffee after you’re done and sit outside and enjoy the view. Only thing for us was that there were lots of mosquitos and my poor daughter was getting bitten left and right because she was wearing shorts!! YIKES! YES!! You may think this is an odd recommendation but I had to do it cause the food was pretty awesome. A very tiny restaurant with a bar seating only for 5 and then just 2 outdoor tables. Daily chef’s special appetizer, salad, choice of pasta and steak prepared by the owner/chef himself. He told us that usually his girlfriend helps out but not that day so he was all by himself. 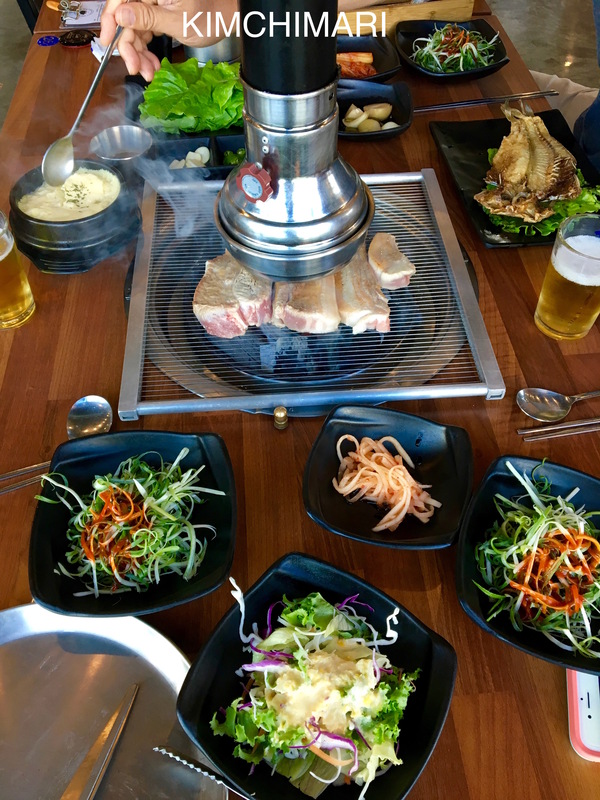 We enjoyed all the wonderful fresh seafood and pork but on day 3, all three of us were getting quite desperate for some non-Korean food option. Both my husband and daughter, yelled “ITALIAN!” when it was time to decide what we wanted for dinner. I had my doubts about finding a good Italian restaurant in Jeju Island but this was a very surprising find. YAY for online search engines and blogs!!! 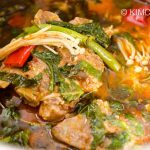 Of course, don’t expect to taste the full traditional authentic Italian here – it is Italian with a Korean flair – but definitely one of the better ones. I think you can kinda tell the Chef really cares about his food when he is not afraid to turn guests away because he is not ready to serve them. 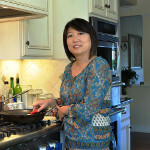 He only wants to focus on making the best, freshly prepared dishes for you and you only. So be sure to either go early at opening time or call ahead and make reservations beforehand cause we saw him turn away a couple with a small baby even though there were 2 empty seats. 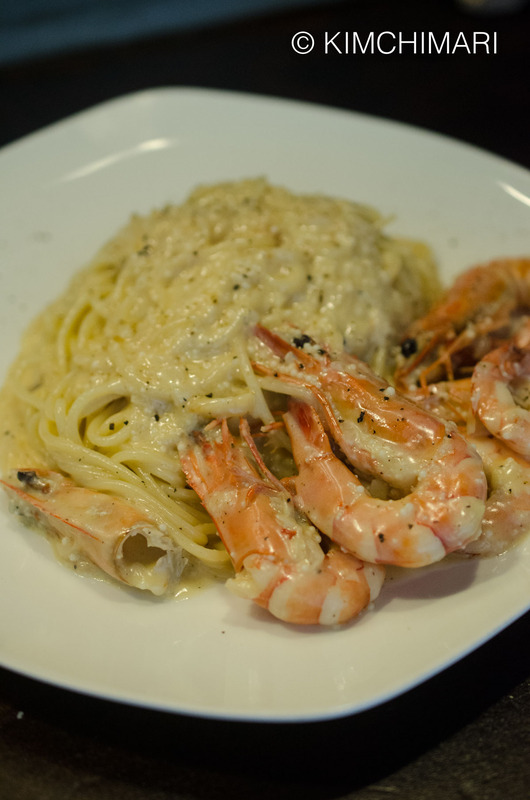 Everything was really delicious but the whole shrimp pasta was especially amazing – a must try. It is a perfect combination of creamy with little tiny jewels of flying fish roe popping inside your mouth, adding extra texture and nuttiness while the exquisite ocean flavors of the fresh shrimp head adding a deeper, richer flavor – much like the green tomalley flavor of lobsters or crabs. Took a picture of their menu display which was written on an empty wine bottle in between other bottles. 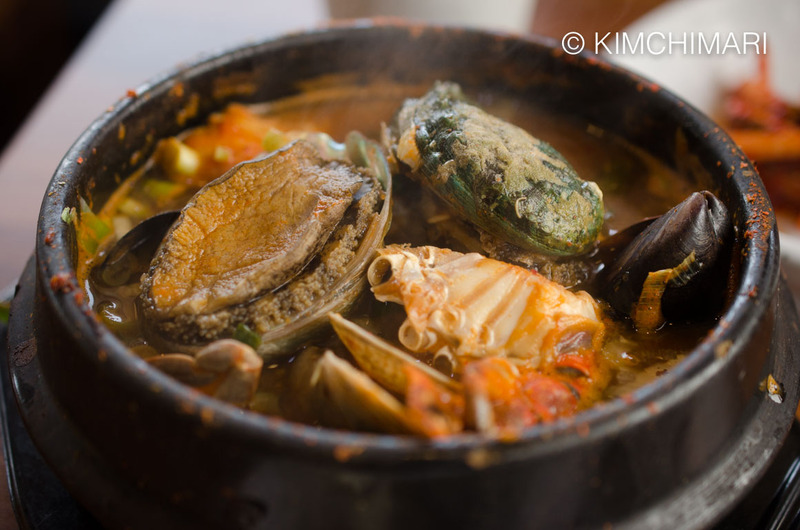 If you are in the mood for some spicy seafoody ramen 😜 😚then this IS where you need to go! A hidden gem of a place with again just a few tables. It’s basically a hip bunsik jip. 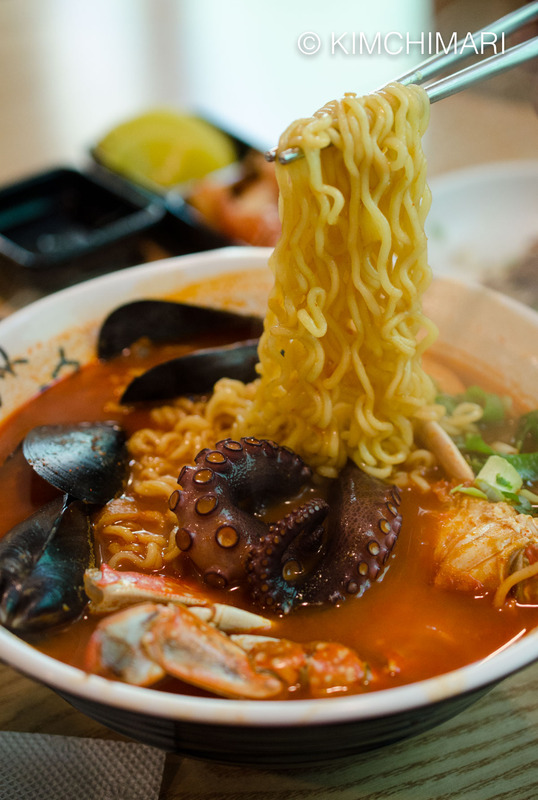 Order Octopus Jjamppong Ramen 문어짬뽕라면 which will clear your sinuses right away and perhaps even your tummy..hahaha..!! Their pajeon was perhaps one of the best I have tasted in a while, wonderfully crisp and full of ocean flavor. They don’t skimp on ingredients. I love it when there’s a lot of seafood in my pajeon. 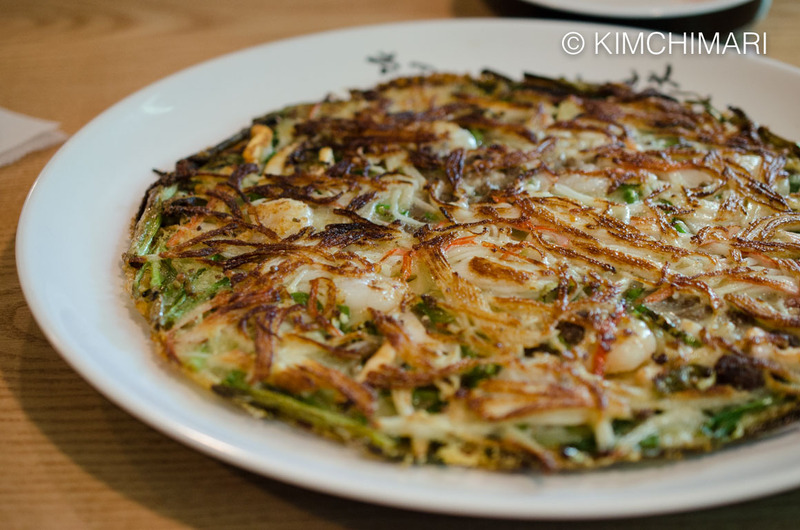 I loved how they had layers of crab meat become the crispy shell to the whole pajeon. That’s all they have on the menu aside from Fried Rice 볶음밥 which is their child’s menu. 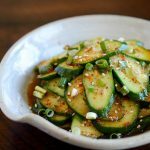 Side dishes are self-serve so get started on that. We went a bit early for lunch and because this is really popular place, the place filled up pretty quickly. Fun place to go if you want something different. And this is near the beach area where there are some cute cafes, so you may want to check that out on my later post about that. 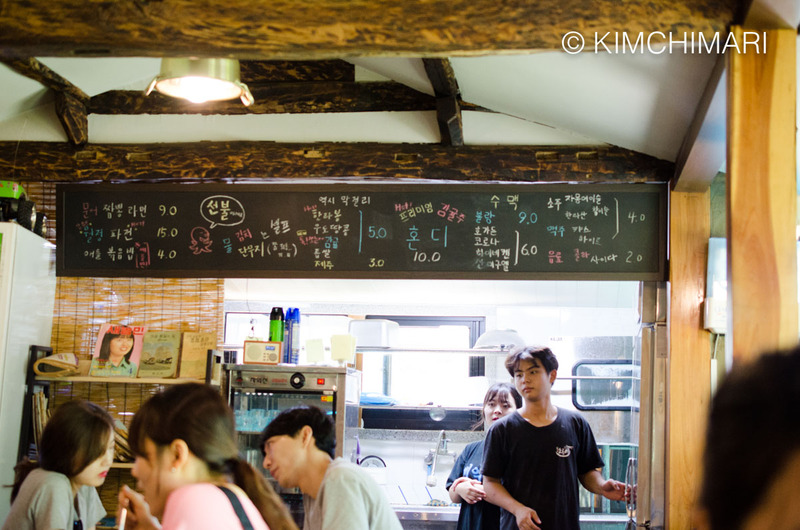 If you go to Sogob-E or the Walljeong 월정 area, I would also recommend visiting 달빵 (달달한 빵집) which is right next door. Their eclairs are REALLY GOOD. We went there twice during our 4 day there. More about dessert places and cafe’s later. Besides the restaurants I mentioned above which we visited and liked, my sister #3 recommended several more restaurants to try but we never got to. She has been visiting the island many times over the years for business and she knows a lot of great ones and I totally trust her taste so I am quite comfortable in recommending these to you even though I have not tried them myself. BTW, my sister #3 already wrote a 2 posts for me regarding Jeju Seafood restaurants (Day1, Day2). 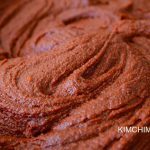 « How to Make Songpyeon for Chuseok! 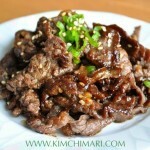 I came upon your blog when I searched for eateries in Jeju. Everything you posted looks and sounds so yum. I’m visiting Jeju with some friends in September and we will try to hit as much of the places you mentioned as possible. Even though my Korean is limited, I will try my best. 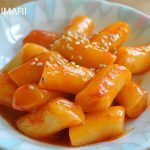 If I may ask, what is the best area in Jeju to stay in? We will only be there for 2 days and would like to stay close by to all the places we want to visit, though I’ve read that it doesn’t take long to get around in Jeju. Still, I want to use my time wisely and not waste it on traveling. Thank you for the super helpful post and hope to hear back from you soon. I will try to report back when I come back from my trip. Thank you! 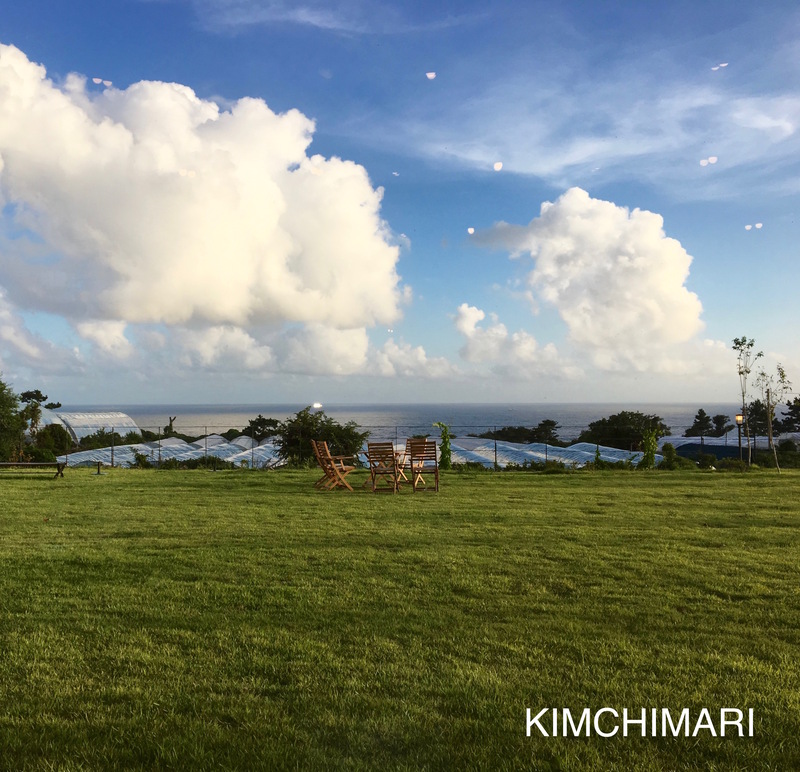 Yes, it doesn’t take long to get around Jeju but since you have limited time, yes, it would be best that you plan wisely. 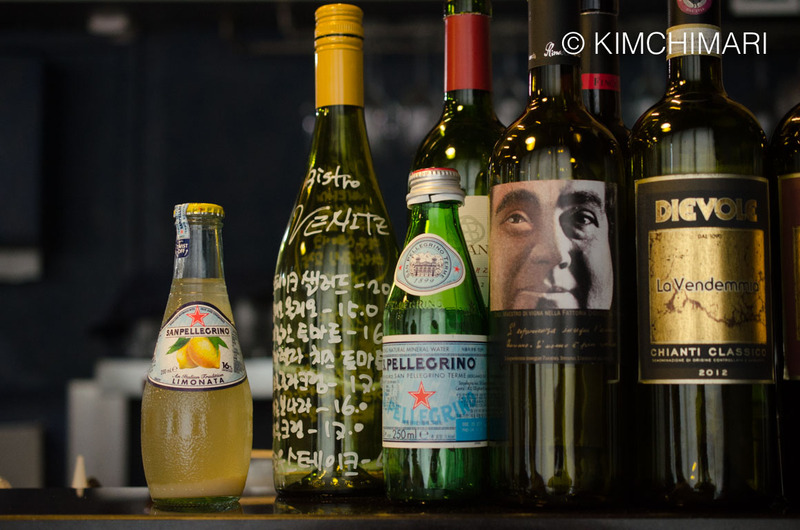 So Gujwa, Seongsan area has the most to see – Seongsan Ilchulbong is probably a must and that area has the more fun and quirky restaurants and cafe’s. 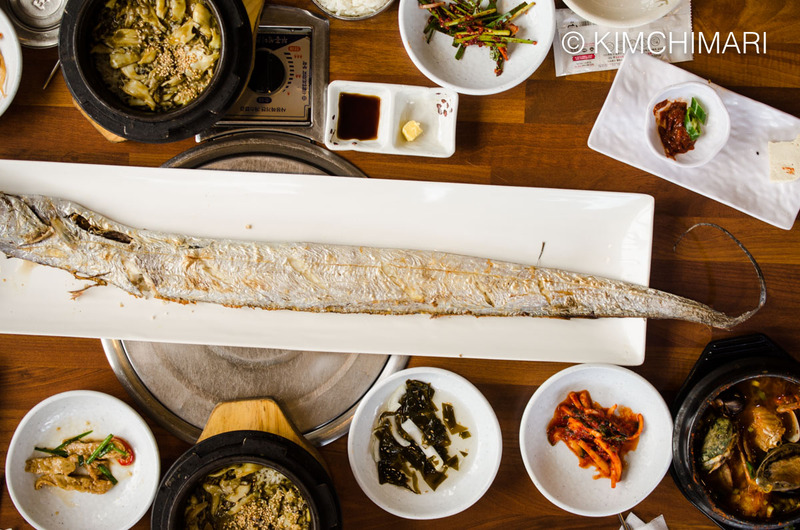 If you want to focus on eating, Seogwipo and Jungmun has most of the authentic Korean seafood and pork restaurants. 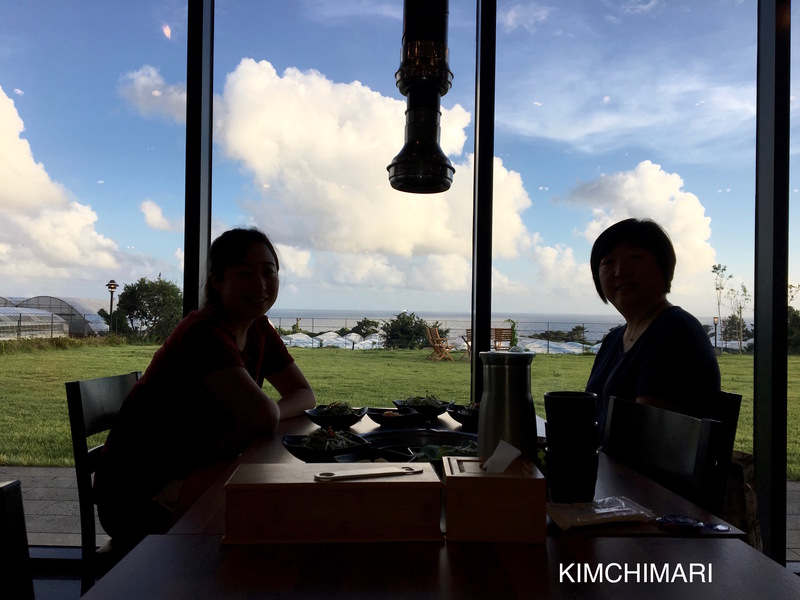 We stayed in Seogwipo area and took day trips to Gujwa, Seongsan area – left early in the morning and came back to hotel at night. But to see the sun rise at Seongsan, we had to get up extra early. I actually have one more post to do which is the hotel where we stayed and also the various sightseeing things we did. I was planning on posting that in May so check back or better yet, follow me and you will get more info! Thanks so much for visiting! You are welcome! I love Chinese food too! Sure! Glad it’s helpful. Hmm.. I have to say that most of the local restaurants will not have any English speaking staff. 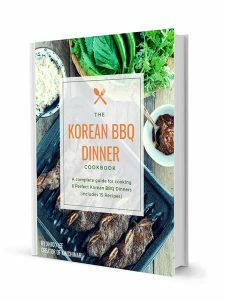 But Koreans are quite resourceful and always try to be helpful to foreigners so you should be OK. Show them the menu names in Korean (the ones I have in my post) and they should be able to help you out. As for getting around, most taxis will have English interpreter service (not sure how good they are but..) and if you show them location via google maps, they should be able to find it for you. Yes, local eateries are the best. 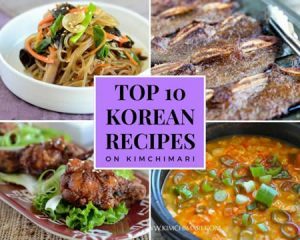 Most of the ones I share on my post are not touristy places (at least not for foreigners) with authentic foods.Look up Korean Tourism or Official sites, they usually have telephone numbers that you can call for info. Congratulations!! Wish you a wonderful honeymoon~ and thank you. Hi!! OH – thank you for your comment. You are so sweet. Makes me feel so happy thinking that. I hope you do comment every now and then … 😉 love hearing from you! Glad you enjoyed my post. Jin joo. 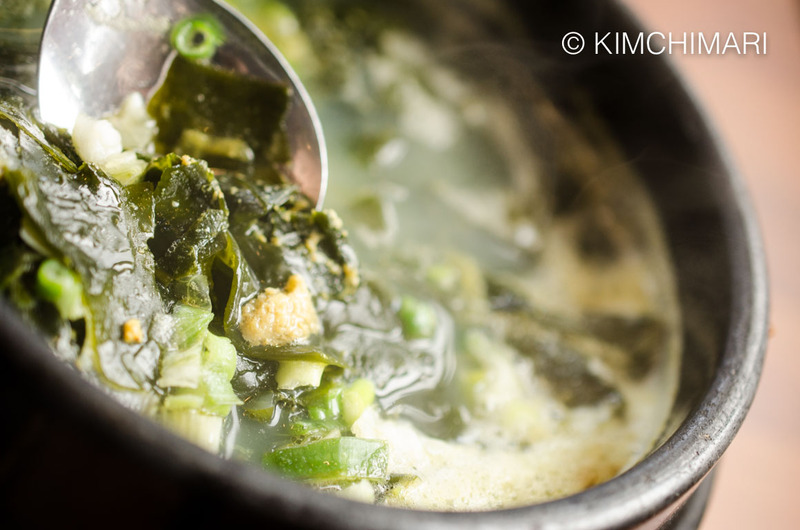 I love your article about Cheju-do and the best places to eat. 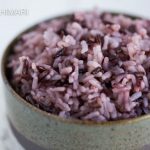 Yum😊❤️ When I went there the most memorable meal was one you described at the end of your article…my friend and I were asked if we liked sushi – sure was our enthusiastic response. Well. This was unlike any sushi we’d ever eaten. There were quite a large group of us and the long, table was filled with things from the sea. Seafood that we had no idea xisted😊😑🙁. I didn’t want to offend our hosts so I managed to swallow everything that was put in front of me. My friend was more discerning in what she ate! Later, my girls , told me there were many things they wouldn’t touch with a “ten foot” chopstick. They got a good laugh and so did all the men who’d eaten these strange creatures. That was just one meal of a marvelously grand trip that I’ll never forget. YAY!! So happy to hear that you enjoyed my post. Yes, I totally know what you mean about a table full of seafood creatures that sometimes seem a little too strange to eat but then it contains so many others that are absolutely delicious. So nice of you to swallow everything that they gave you – haha.. you are braver than me! I am planning to post another one with Jeju cafe’s and more scenery photos, hopefully you will enjoy that too. Thanks so much for your comment. Always makes my day!